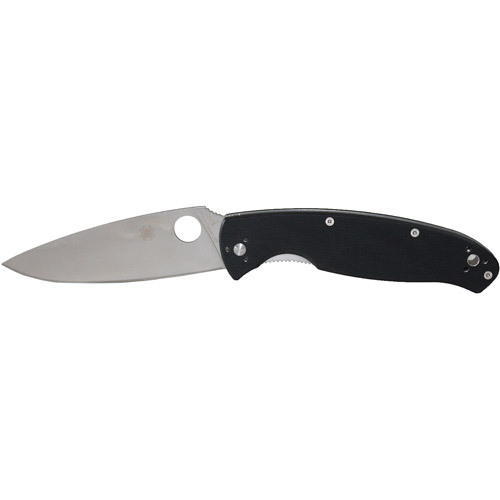 Overall a good deal for a Spyderco. Opens fast, came razor sharp. But like other reviewers have mentioned it feels really light in the hand (But nice). Also when I removed the screws for the pocket clip there seemed to be some rust on the screw threads (or it could have been the stuff used to stop rust...) will have to check under the G-10 panels as another reviewer mentioned there was a rust issue that needs to be addressed. There were also some blemishes on the blade mentioned by still another reviewer as well. But thanks to these reviewers I knew all this going in and feel good about this purchase. I bought a Spyderco Police for my brother-in-law a few years back and while there is definitely a quality difference I will use and abuse the Resilience and not feel bad about it. I am looking forward to seeing how it holds up. Thanks Walmart.